The ELC Lighting stand is extra festive this year at the annual Prolight + Sound convention in Frankfurt am Main. In 2018, ELC Lighting celebrates its 20th birthday! The joint venture of ELC Lighting between Joost van Eenbergen and Silvio Cibien originated in June of 1998. Subsequently, the famous ELC focusHAND remote was first presented at the PLASA Show in September of the same year. Since then, the company has rapidly developed itself into a prominent innovator in the world of lighting equipment solutions. 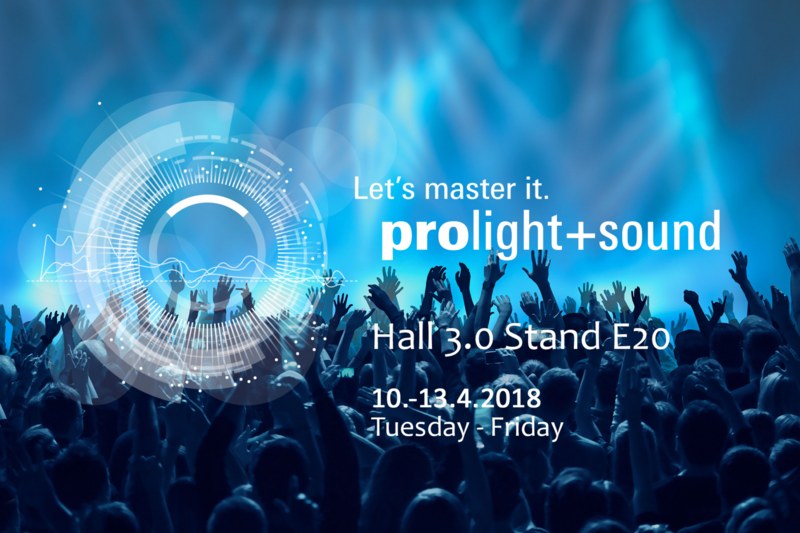 To commemorate the occasion of ELC Lighting’s 20 years of cutting edge lighting equipment, we would like to invite everyone to visit our stand on the 2018 Prolight + Sound convention at the Messe Frankfurt from 10 to 13 April. Prolight + Sound is the international trade fair for event technology and services for entertainment, integrated systems and creation. You can experience the excellent ELC devices firsthand here and discover what they have to offer for your business.